Logically - if it doesn't involve a penalty i would mean something outwith the PU restrictions. I recall a few years back Honda introduced a new intake which improved driveability significantly with no penalty. Software changes could also bring in the ability to "turn the wick up" with no penalty. We can only speculate and wait until we hear from Honda on the pitlane. We won't here numbers from Honda. We'll only have to guess with the results. Figures like 20hp, especially these days, are meaningless. Is it more peak power, or can they use more power consistently through the weekend? It's impossible to know what any of that really means. The fuel system injectors are free to modify. Probably an engine mode they tested in the field and now they feel confident to use it for a full Q session. That's about the power unit of Danil Kvyat, who had a problem near the end of the first free practice of the Chinese Grand Prix. Because the power unit used by Toro Rosso and the power unit mounted on Red Bull are the same specifications. The trouble that an abnormality was found in the data is that there is a high possibility that somewhere in the engine is physically damaged, as can be imagined from the tone of the technical director of Toyoharu Tanabe that the temperature sensor was not at a desired level. The problem is what is the cause of the trouble. If the cause is a batch trouble in which a defective product exists in a specific lot, there is no problem if it can be confirmed that the parts of that lot are not used in the Red Bull power unit. However, if it turns out that it is not a batch problem but a problem that occurred because the combustion system has a fundamental problem, if you try to increase power with that specification, even if you put spec 2, some sort of review will be required. Another problem is that you don't have much time to make that decision. Kvyat's power unit, which caused troubles on Friday of the Chinese Grand Prix, can only leave the country after the Chinese Grand Prix due to customs clearance, and finally arrive at HRD Sakura on April 17 (Wednesday). Because Azerbaijan also has complex customs clearance, if you bring an upgraded power unit to Azerbaijan GP, ​​you have to transport it from the UK to Azerbaijan after transporting it from HRD Sakura in Japan to HRD MK in Milton Keynes, England. In that case, we have to ship from Japan to the UK on April 21 (Sun). In other words, it takes only four days from April 17th to 20th to investigate and draw conclusions. In the Honda Power Unit thread, it's 20hp per week, for four years. It is reported that Honda will bring a upgrade to Azerbaijan GP, ​​but it seems that the introduction of the new spec is not as big as it has been reported, though it is correct. F1 rev usage is very narrow so in a way peak power gives good idea who engine is stronger. MGUH makes up for spool as well. Fuel and electrical energy management over a race distance is a different matter however. 20 Honda Powers. Equal to 1 v-tec activation equal to 1 JDM sticker and 2 purple lug nuts worth of real horsepower. That Honda is going to use a new engine are all speculations from journalists. Only more power is released. No one has said that a new engine is coming in Baku. Helmut Marko has said that they will get another 20 HP from Honda and Max Verstappen has only said that they will get more power from Honda in Baku. I think nothing has been said from Honda itself. 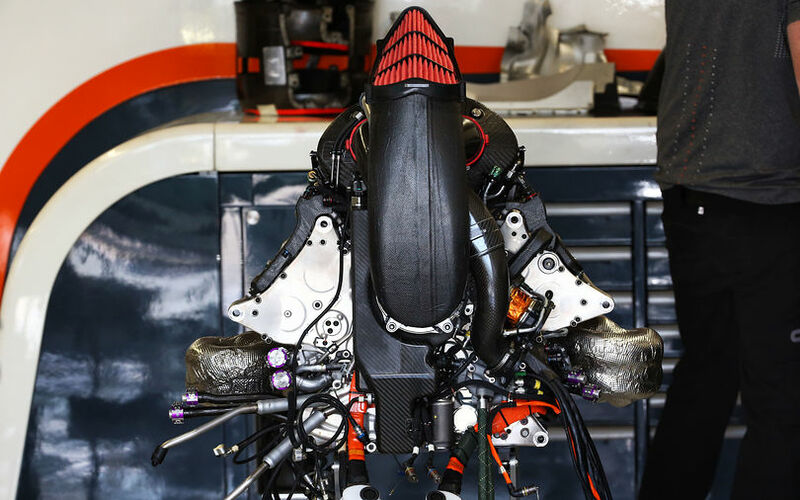 Even if it is a new engine it isn't a big deal since the old engine could be used for P1 and P2 for many grand prix if this new engine is worth the effort for the extra ponies in qualifying and the race. At least the engine is reliable unlike their former suppliers who are already looking for spare parts. I understand that it is only an improved 'party mode'. Nothing more than that. 20 hp for Q3 will be interesting anyway. But at race pace there will be no changes. 20hp more for the tenth time?..